All right, it’s the last day of cookie week! Here’s another great recipe from Marina, and as with all her recipes, this one is a winner. (Literally, the woman has hundreds of ribbons for her baking!) These cookies are exactly what the title suggests. Cookie brittle is the perfect cross of cookie and brittle, is super crunchy, buttery, studded with toffee, and garnished with chocolate. 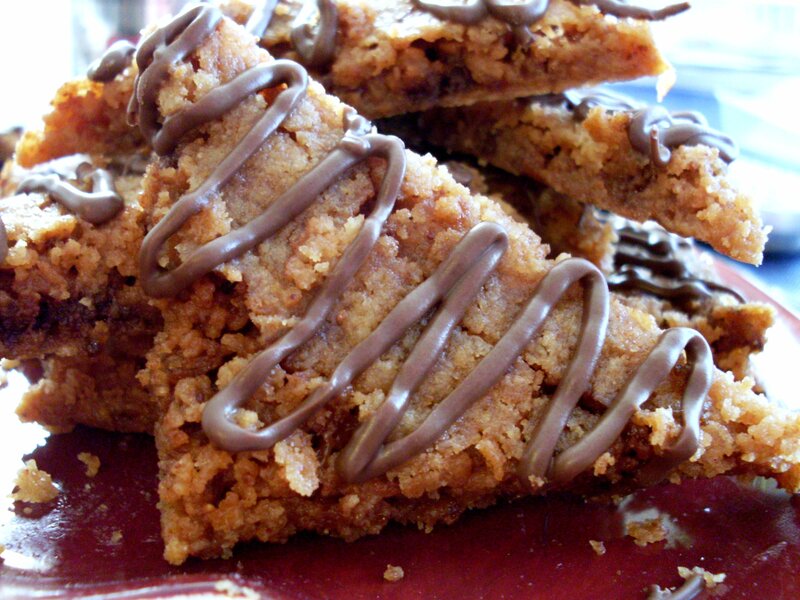 I bet these are great with the almonds, but I made mine without. These are perfect for gifts! Preheat oven to 375 degrees. Combine butter, vanilla and salt in medium bowl and beat with electric mixer until fluffy. Add flour, sugar, chopped toffee candy, and almonds if desired. Blend well. Press mixture into 15 x 11 inch cookie sheet with sides. Cover with waxed paper and flatten with rolling pin to edge of pan. Discard paper. Bake until golden brown, about 25 minutes. While still hot, cut into diamonds or squares. Cool completely. Drizzle with chocolate if desired. Posted in Cookies and tagged almond, cookie brittle, crunchy, toffee. Bookmark the permalink. I’ve never heard of cookie brittle! Love! Wow, these have my name written all over them – crunchy, buttery, studded with toffee, and garnished with chocolate – I honestly can’t think of anything better! yum, yum yum! I’m bookmarking this one for sure! I’m protective over my almonds, so I’m going to use walnuts for this. It sounds holy wow amazing. I’ve made a cookie somewhat similar to this before, but it couldn’t be cut into even shapes; it had to be broken off. This can’t be cut either, unless you do it when it’s still hot. So if you desire a nice cut, do it fast before it cools and gets hard! No walnuts!!! !..almonds only please, and the cookies may be cut into diamonds or broken off…. 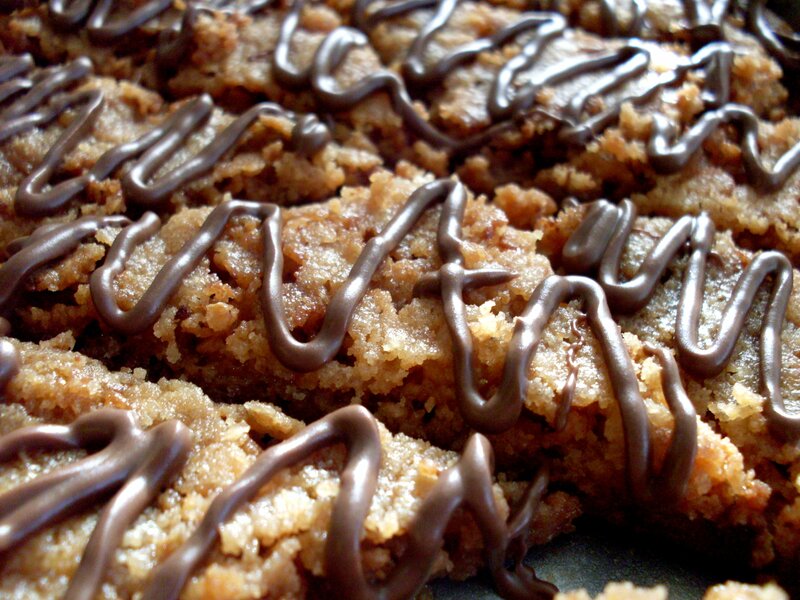 Cookie brittle is a genius idea! I agree, this is genius, but sinful! Yum! 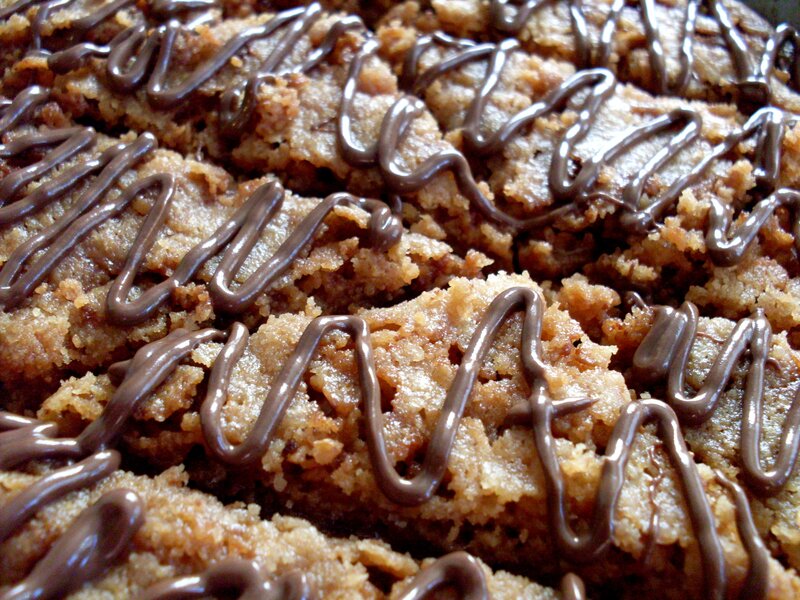 These look like particularly scrumptious cereal bars, which means . . . breakfast! !